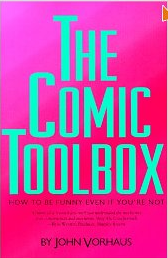 I just finished reading “The Comic Toolbox” by John Vorhaus. Here’s the quotes I found interesting. If you like these quotes, I suggest buying the full book here. Hello. Thank you for this. What did you think about the book? Does it worth it? I’m trying to find a good book to help me creating sitcom character and structure.